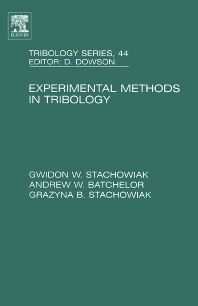 Gwidon Stachowiak is a Professor at Curtin University, Perth, Western Australia, specializing in tribology. His research interests include the development of methods for description of multiscale 3D surface topographies, tribocorrosion, and optimization of 3D surface textures for hydrodynamic contacts. Andrew W. Batchelor has been involved in tribology for 30 years and has taught tribology at universities in Australia, Singapore, Japan, Malaysia and India. He has written books on topics relating to materials degradation, biomaterials and bioengineering.